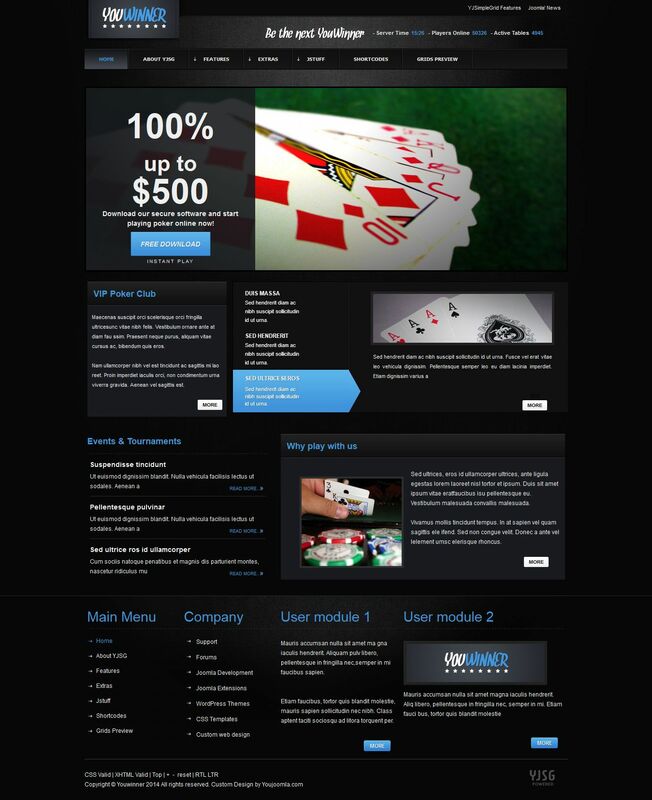 YJ Youwinner - gorgeous, bonus, game template from the studio YouJoomla. The template used tastefully and visually placing modules YJ Image Slider 3.0, YJ Newsflash Ultimate, YJ Newslider 7.0, thus received a lot of space for business advertising and online gambling. SEO template uses functions in all modern browsers, has 51 module positions, 3 CSS style, smooth dropdown menu, split menu, the compression on the server side, additional printing styles, adjustable width.